A Diamond Select Toys release! One of the biggest shows on TV just got tiny! 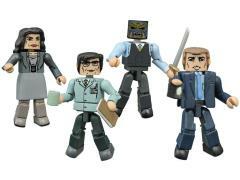 Based on the smash TV show Gotham, this box set of four different Minimates mini-figures kicks off a full line of characters taken from the lawless streets of Gotham City. 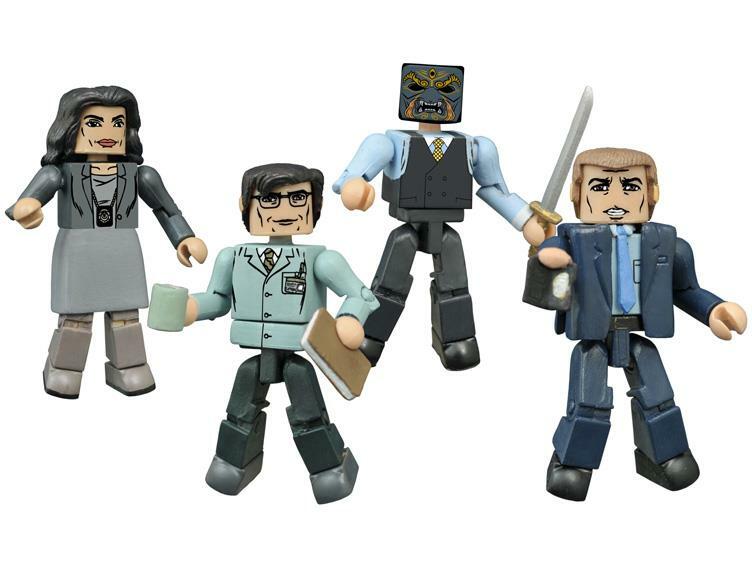 Detective Jim Gordon, Chief Sarah Essen, forensic scientist Edward Nygma and brutal businessman Black Mask each stand approximately 2" tall with 14 points of articulation, and each features interchangeable parts and accessories. Packaged on a full-color blister card. Designed by Art Asylum!